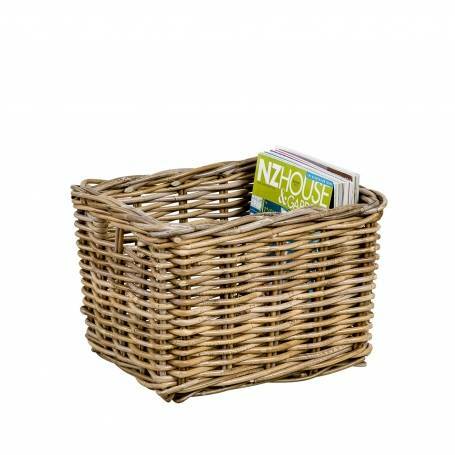 This basket is a very versatile stylish storage solution. It has a cut out at one end allowing the basket to be pulled toward you like a drawer. It could be placed under the coffee table for magazines, or up high in the wardrobe holding packets of hosiery. Also available in size small and large.